Brushing your teeth is something you should be doing twice a day...almost since birth. But sometimes just brushing your teeth with normal toothpaste, on a daily basis, doesn't take care of the stains that acquire as coffee consumption, etc. happens. 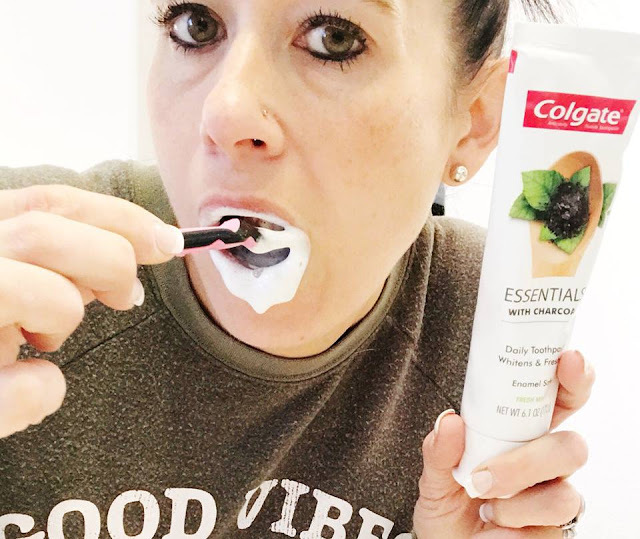 Over the years, I've done many toothpaste reviews/feature. So what makes one stand apart from the rest? It seems this is a new active ingredient that toothpaste companies have found to safely help remove stains from teeth. 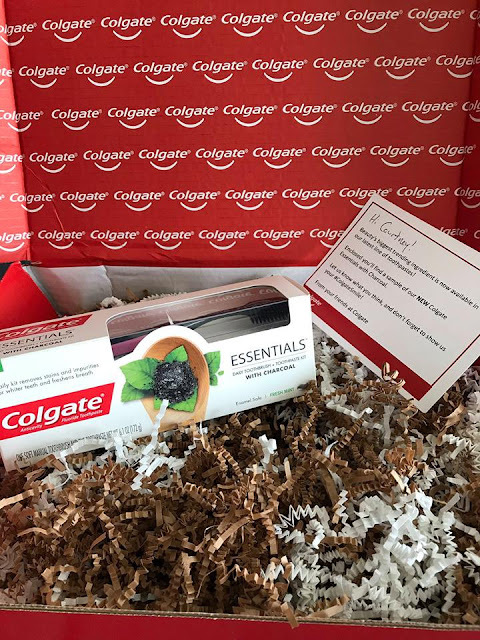 Colgate sent me this Essentials Daily Toothbrush and Toothpaste kit with Charcoal. This includes a charcoal infused toothbrush (the bristles), which helps in providing a clean gentle brushing. 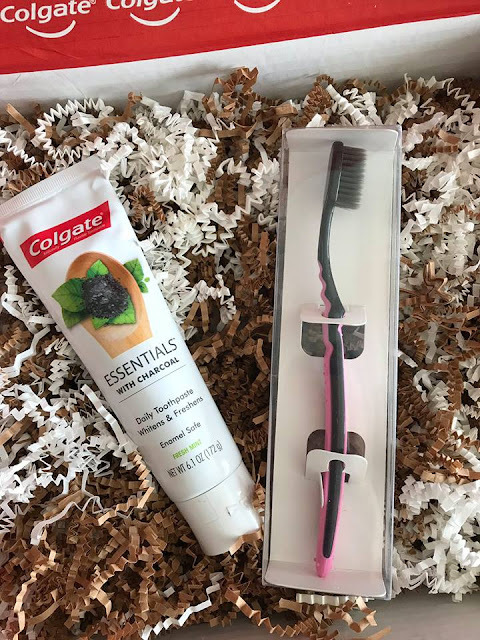 The charcoal toothpaste contains micro polishers to help remove stains. The best part about this duo, it leaves your mouth feeling fresh, clean and minty too. Some charcoal toothpastes really don't leave you with that fresh minty breath. This one does! 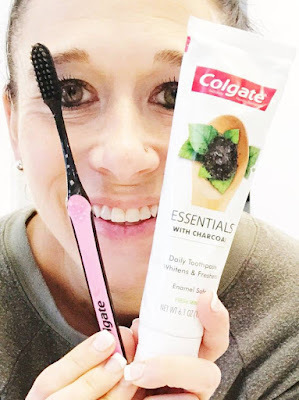 Plus, I love that this charcoal toothpaste foams up with my brushing. Some other's I've used before don't! Whether or not it makes a difference, it makes me feel like it's actively doing something with the foaming bubbles. 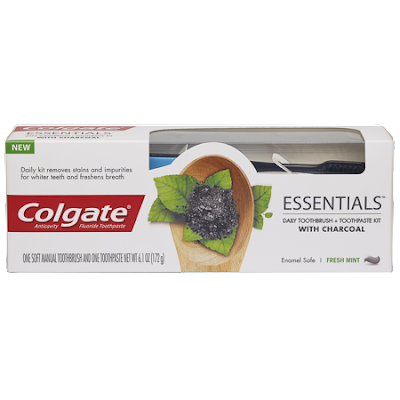 This Essentials Daily Toothbrush and Toothpaste Kit with Charcoal is being sold exclusively at Walmart. 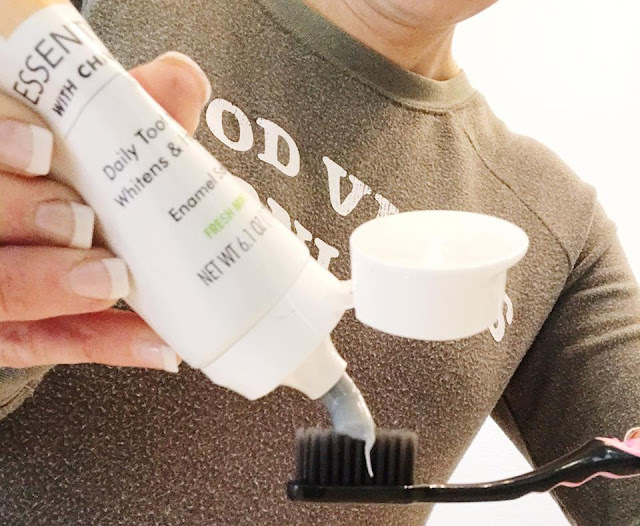 CLICK HERE to check it out and start brushing your way to a cleaner, whiter smile!